The Palace Road Nature Garden was created in 1985 after a large Victorian house was demolished at 36 Palace Road. Lambeth Council preserved the gardens and added new paths and a pond. The garden is maintained with the help of local residents, volunteers from TCV and occasionally groups of volunteers from local companies. 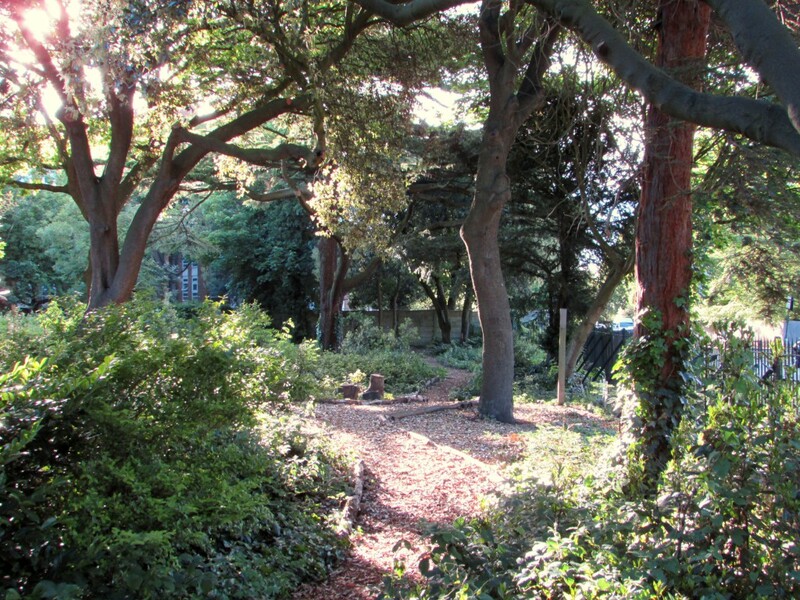 There is an active friends group – the Friends of Hillside Gardens Park and Palace Road Nature Garden. If you are interested in helping, contact the friends or keep an eye on the Facebook page. 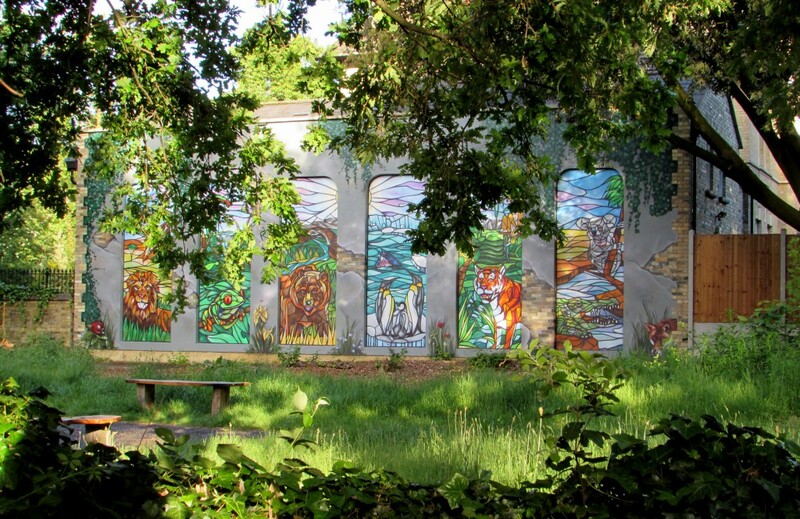 During the summer of 2014 a large mural was painted on a previously blank wall that faces the nature garden. It was painted by Positive Arts with participation from the local community. The six panels depict wildlife from six different continents, while local wildlife is represented encroaching from the edges of the wall.